SHOCK LEVEL: Minimal. Prior to the season, now-suspended head coach Will Wade referred to Reid as a near lock for a lottery pick in the 2019 NBA Draft. The season didn’t pan out in that fashion, but Reid’s size and skillset make him an attractive late-first-round-to-early-second-round option for a lot of teams looking for a crafty big man who can score. WEAKNESSES: He relied heavily on Kavell Bigby-Williams on the defensive side of the ball, so it’s yet to be seen how adept he will be defending at the NBA level. Also had some ball-handling issues, especially after getting the ball in the post. REPLACEMENT LEVEL: Tough. A lot of people have vocalized their opposition to Reid’s departure, saying he could use another year at the college level to hone his skills and improve his stock. But that’s not for lack of talent or production. Reid served as a dangerous threat for the Tigers that every defense had to pay special mind to. Finding another big man as crafty as him will serve as a challenge for whomever is coaching the Tigers next season. SHOCK LEVEL: Absolute zero. This was always the plan for Tremont Waters, who tested the waters during last season’s pre-draft process only to choose to come back at the last minute in order to improve his stock using what he learned during the process. Waters is an undersized guard who ends the season as a Bob Cousy Award finalist. His draft stock won’t get any higher than it currently is. STRENGTHS: Waters has a fantastic feel for the game and an extraordinarily high basketball IQ. For most, his height would have been a barrier for entry into a Power 5 school, but he used his disadvantage to develop a unique and exciting style of play. He’s a dangerous scorer with a penchant for hitting big shots. All the intangibles are there. WEAKNESSES: Still, it’s difficult to ignore his size. There are only two players on NBA rosters that stand shorter than six feet tall in Isaiah Thomas and Frank Mason III. He will have to show he can compete at the level of those to in order to earn a shot at the big time. He also has a tendency to get a big careless with the ball in late-game situations, but that’s something that can be worked out as a professional. REPLACEMENT LEVEL: Improbable. Frankly, there just aren’t a lot of Tremont Waters’ out there. If Javonte Smart remains on the team, he’s the likely candidate to take over the point guard position. He’s more than a suitable replacement, but he brings a completely different style, and he’s unlikely to surgically undo opposing defenses the way Waters did for the Tigers these past two season. SHOCK LEVEL: Substantial. The CoSIDA Academic All-American has spoken candidly over the last three years about his dreams of going to medical school and becoming a doctor, and with a 4.01 GPA pursuing his bachelor’s degree in pre-med/kinesiology, he seemed to be right on track to do just that. But you can’t fault a kid for chasing a dream. It’s not every day one gets a chance to play in the NBA, and LSU’s historic season gave him a shot, if just an outside one. STRENGTHS: Very cerebral basketball player who kind of went under the radar as the Tigers’ best defender in the backcourt. He regularly locked down the best guard LSU was playing against with his length and heady play. If he can find a role at the NBA level, lockdown defender might be his best bet. He’s also a fairly efficient scorer with surprising athleticism he seems to pull out when necessary. WEAKNESSES: He’s a bit of a streaky shooter, especially from the 3-point line. 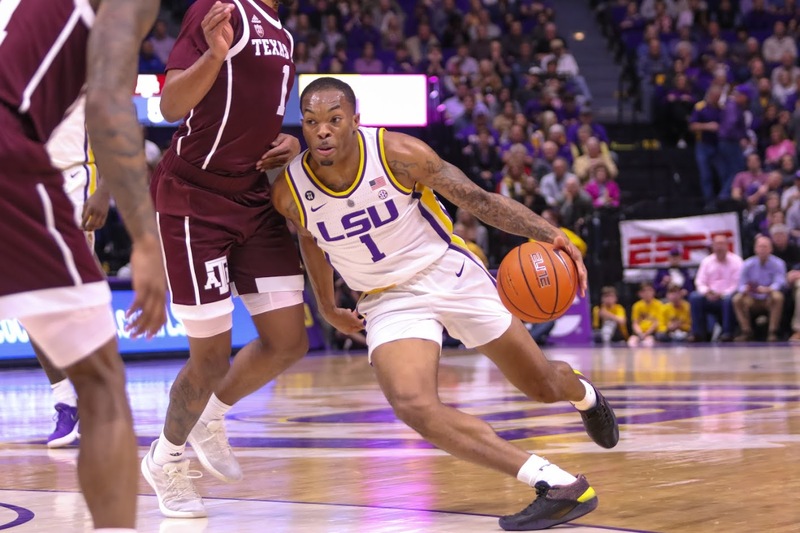 He seems to have the clutch gene, hitting big shots when necessary, but there were times when the Tigers could have used a more consistent shot from him, especially considering a regular 3-point threat seemed to be all they were missing on offense. REPLACEMENT VALUE: Purely as an athlete, it may not be hard to find a player that fits Mays’ skillset. But there is no replacing the leadership he brought to the Tigers this season. 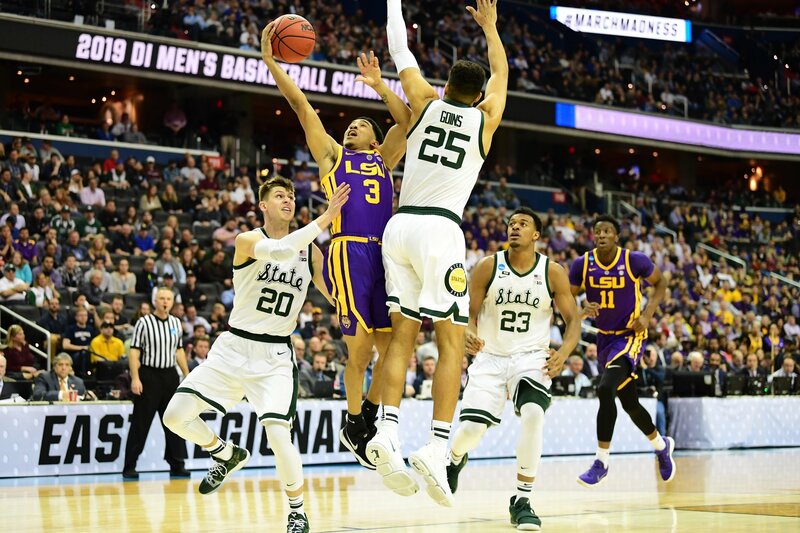 Best friend of fallen LSU basketball player Wayde Sims, LSU rallied around him and his quiet leadership on their way to a historic season nobody involved will forget any time soon. Baton Rouge Super Regional begins Saturday at 8 p.m.